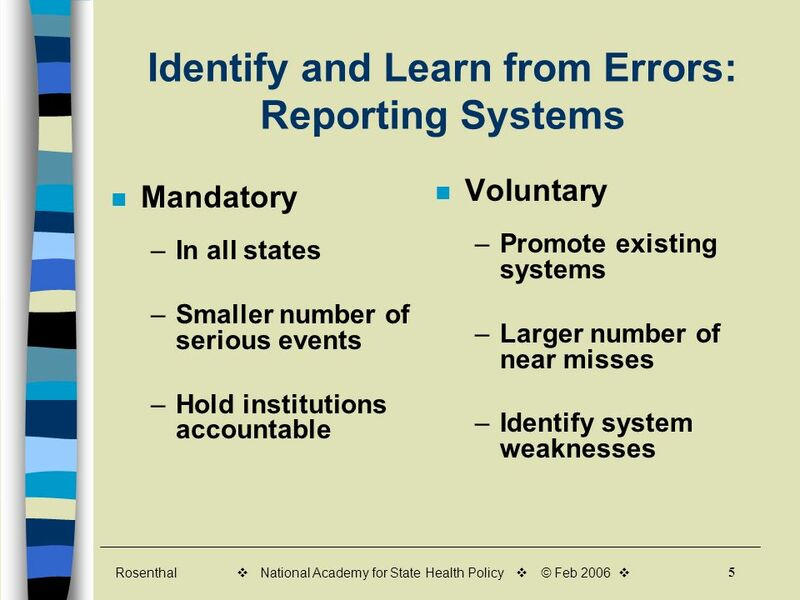 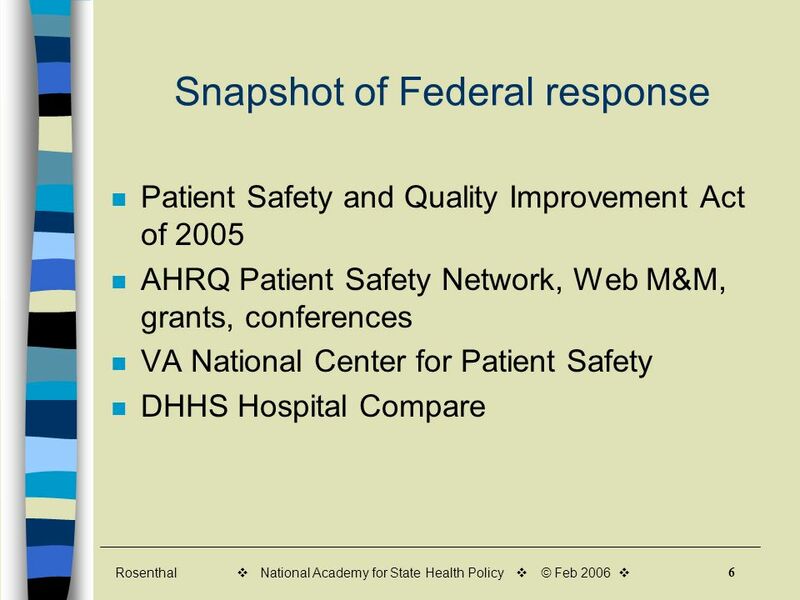 Rosenthal 1 Federal and State Efforts to Improve Patient Safety Jill Rosenthal, MPH National Health Policy Conference February 7, 2006. 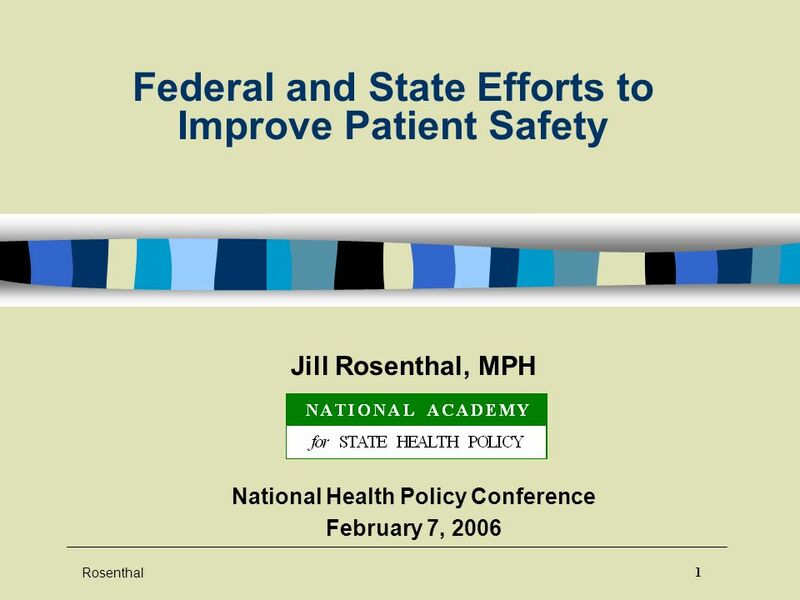 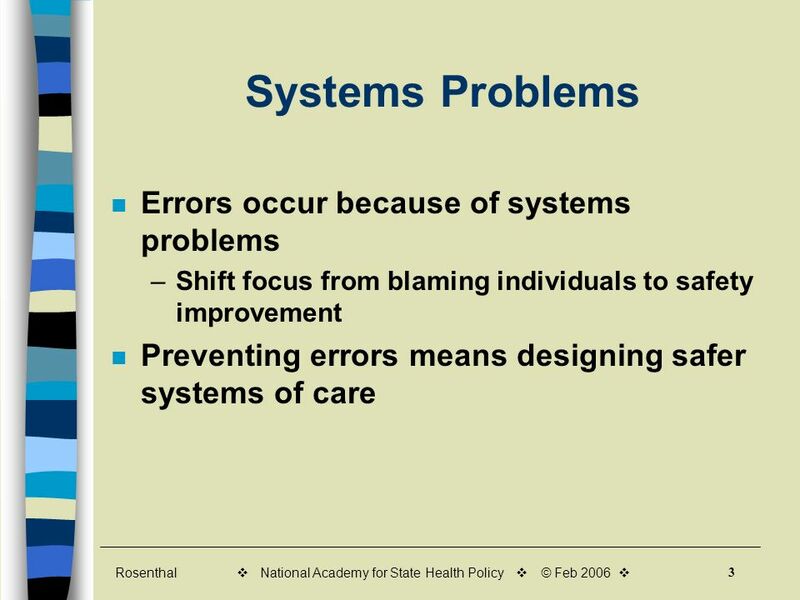 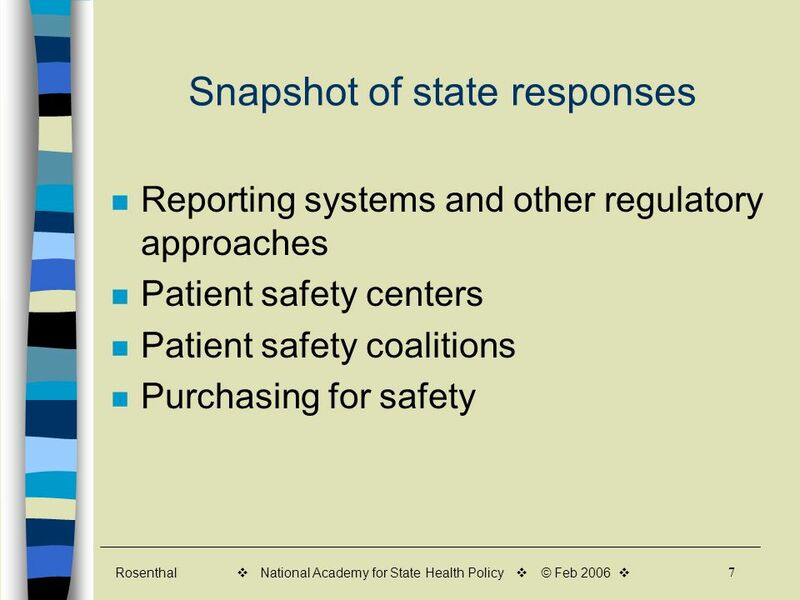 Download ppt "Rosenthal 1 Federal and State Efforts to Improve Patient Safety Jill Rosenthal, MPH National Health Policy Conference February 7, 2006." 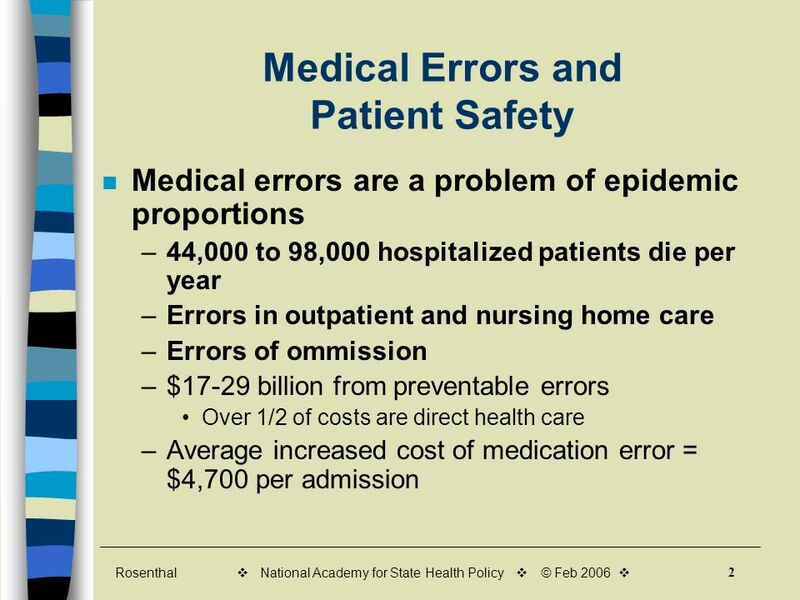 Lisa McGiffert Consumers Union 506 West 14th St. Suite A Austin, Texas ext 115. 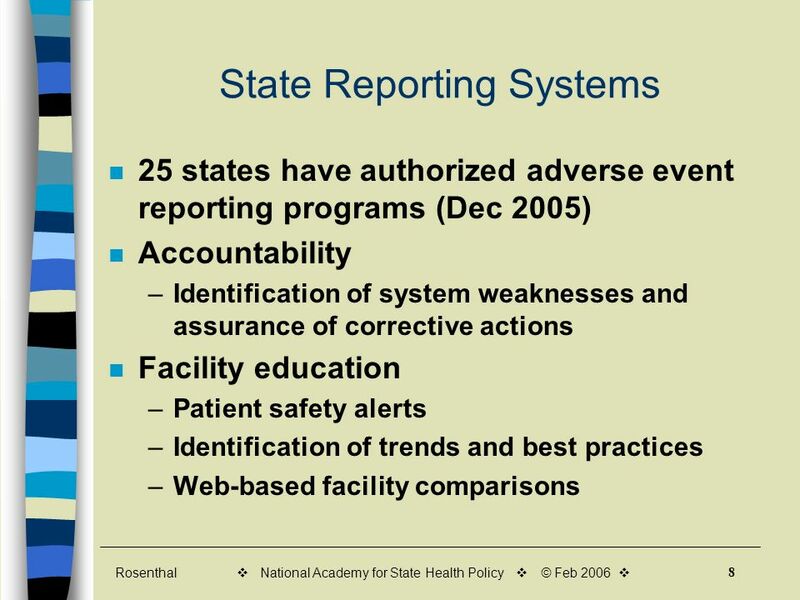 THE COMMONWEALTH FUND A iming Higher A State Scorecard on Health System Performance Cathy Schoen Senior Vice President The Commonwealth Fund Alliance for. 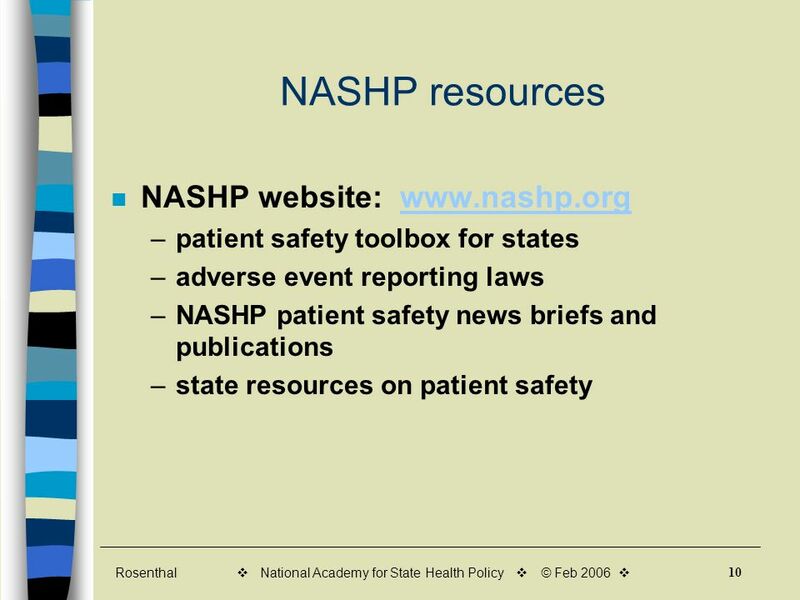 Patient Safety An Overview Patient Safety is freedom from injury or illness resulting from the processes of healthcare NQF 2001. 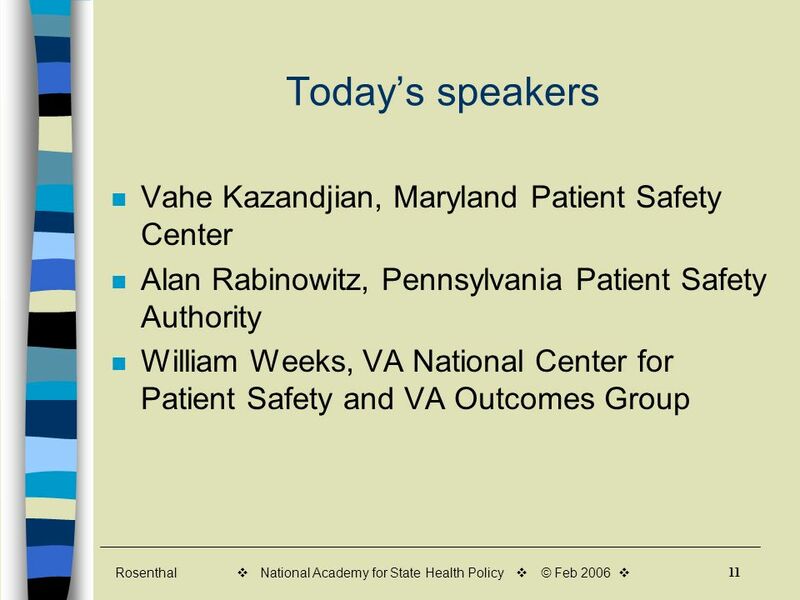 National Academy for State Health Policy © Young and Uninsured: Closing the Gap for the Invincibles and the Ineligible AcademyHealth National Health. 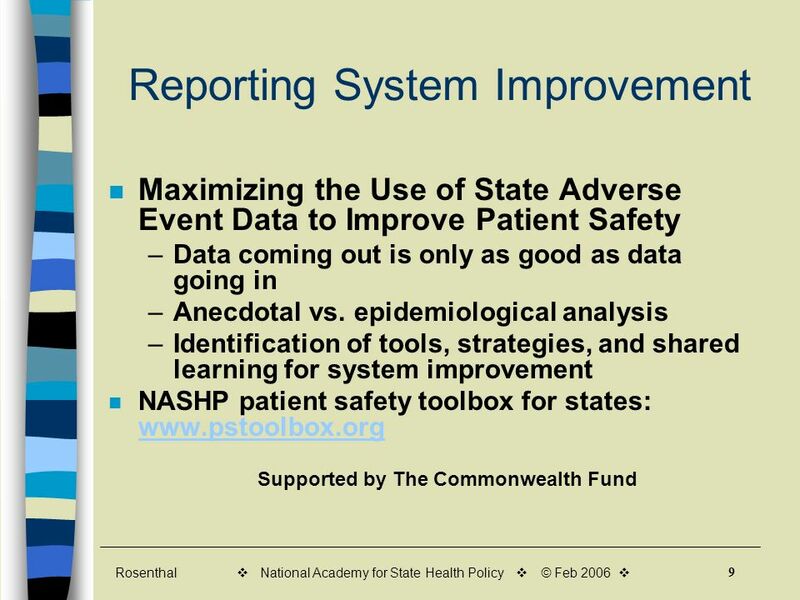 THE COMMONWEALTH FUND Source: McCarthy and Leatherman, Performance Snapshots, Adverse Events and Complications of Care per. 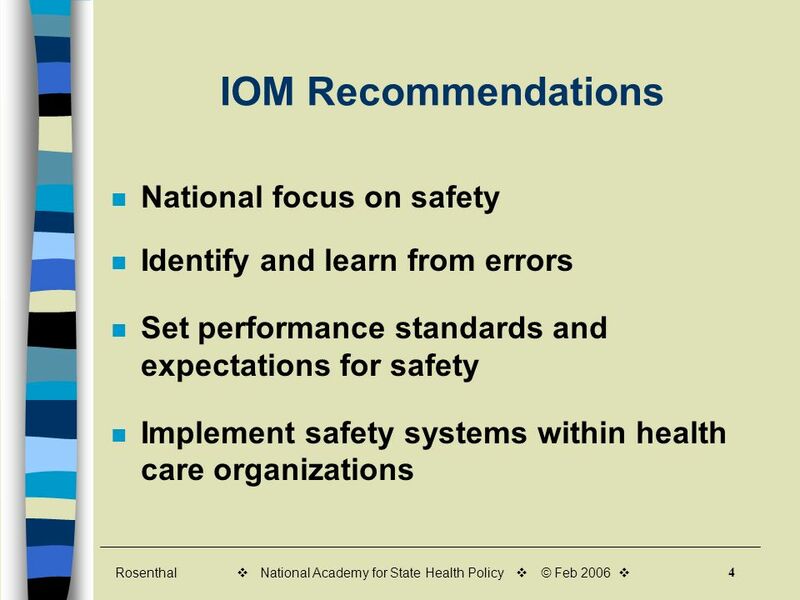 Lisa McGiffert Consumers Union 506 West 14th St. Suite A Austin, Texas 78701 512-477-4431 ext 115.